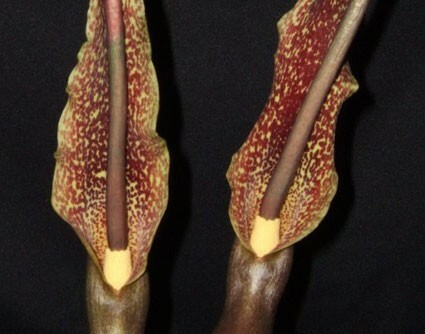 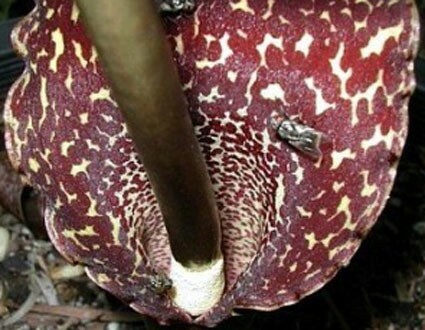 "Voo Doo Bulb" Sauromatum venosum's correct name: in late winter the elongated dark brown spadix emerges from the fat bulb, opening to reveal its maroon spoted interior and the slim blackish spadix whose fetid fragrance is beloved of flies. 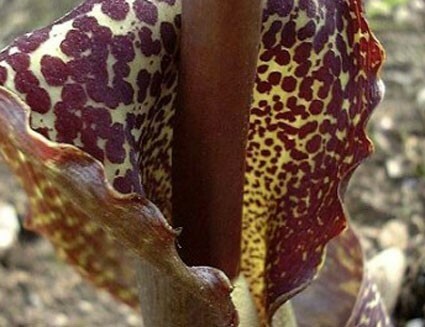 After a few days this bloom collapses--you will have probably collapsed somewhat earlier. 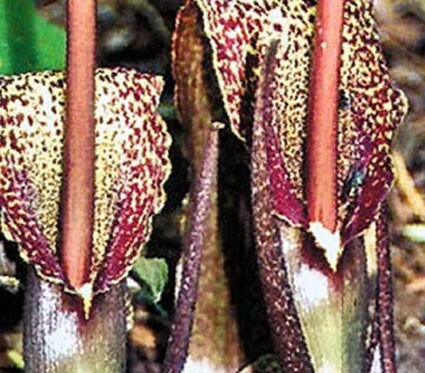 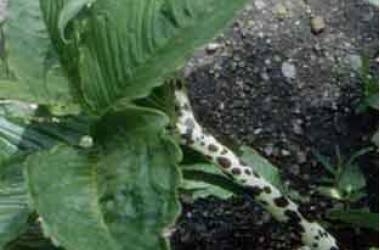 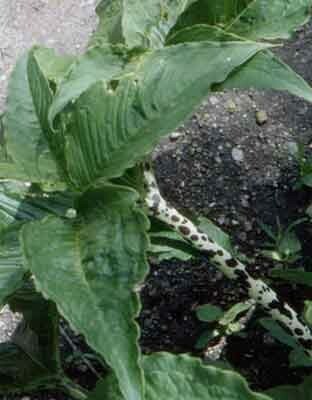 If not already planted, plant the bulb because it will soon be ready to send up the snakeskin mottled thick stalk topped by a curved horn-like segmented leaf. 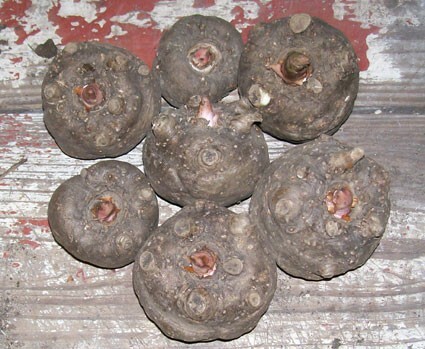 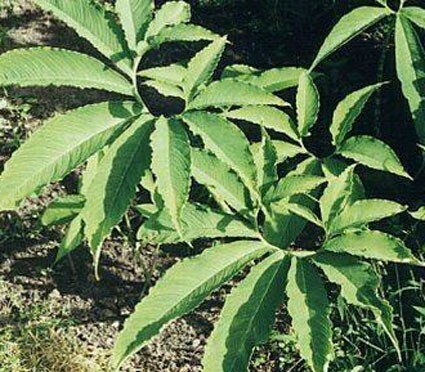 The timing will be different if planted outdoors--a possible trick even in our Zone 6b gardens if the tubers are situated well below the frost line in a perfectly drained location (even if the main tuber rots during a severe extended winter, numerous bulbiles usually survive to sprout the following summer)..